The rapidly evolving business world and constantly changing customers’ demands call for the eCommerce innovations to achieve the skillful selling and reach the desired company results. If you want to stay on top of the competitive market, the key point is to determine the organization's objectives, focus on the clients’ requirements and find a suitable platform. Yet, how to choose the right eCommerce solution to fit your business and customer’s needs? 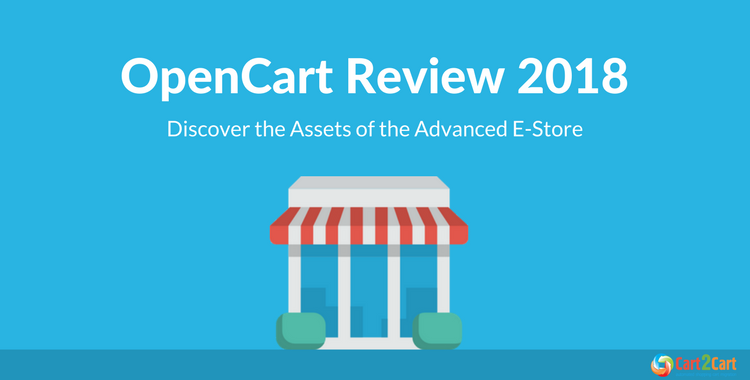 In case the endless list of platforms drives you at a loss, let’s explore OpenCart review to learn a wide range of the capabilities that can help your business prosper. Launched in 1999, OpenCart shopping cart is a well-designed solution for mid-sized and large eCommerce stores. User-friendly and intuitive, the platform would also become a smart choice for the newcomers and occupies a market segment interested in the easy-to-use software. The solution offers the standalone e-shops that are enough for the users who do not plan to obtain a blog to enhance the company growth or set up a website first for adding a shop to it. Set up OpenCart quickly, as well as move through the pages and tabs swiftly. Even with no technical skills, you can easily add, change or edit within the platform. 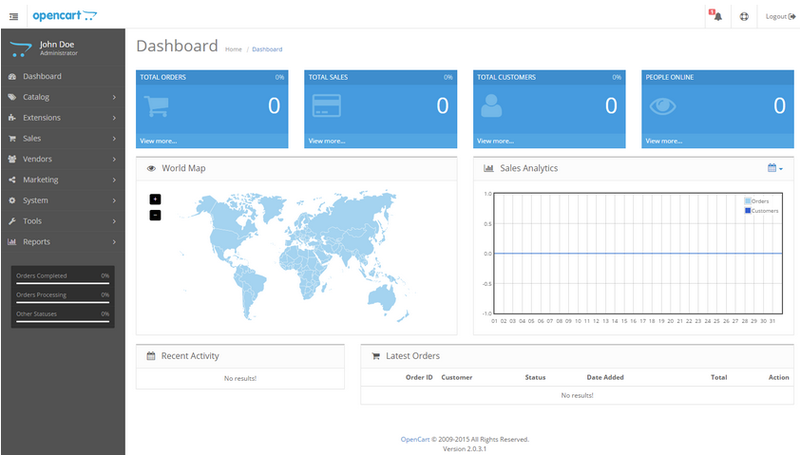 The administrator dashboard provides you with the vital information about the total orders, sales, customers, people online, sales analytics and many more widgets. Run the solution with the advanced user privileges and separate access for users and groups. This will help you arrange the online store since you have to deal with a lot of people that are performing the various roles. Manage a number of e-stores from one single place. The comprehensive admin interface helps you set the products to appear in the number of your online shops, select a different theme for each of them, localize the settings and fix up the product prices. Take advantage of the products with a wide range of choices like featured sizes, colors, length and height. Moreover, Opencart shopping cart includes a solution on adding the extra product variables. Create filters as a handy tool to help you narrow down the required information in the e-store. In this case, you can type into one of the information fields for the product on the item list. Filters help you quickly locate any data stored in the list form. In other words, Products, Reports, Orders, etc. can contain the filters or groups of them as the primary search tool to locate the items in the list. Sell in any currency you wish all around the world, receive the automatic rates updates and set up the taxes. Besides, you get an opportunity to use OpenCart shopping cart in more than 40 languages. Get the useful insights through the sales, as well as viewed products and purchased products reports. Furthermore, the additional analytical capabilities can be gained with the help of the popular reporting add-ons. Enhance the platform's functionality to satisfy your business demands with over 13 000+ applications available to download. The Extension Installer lets you upload the modules without any hassles and technical skills. 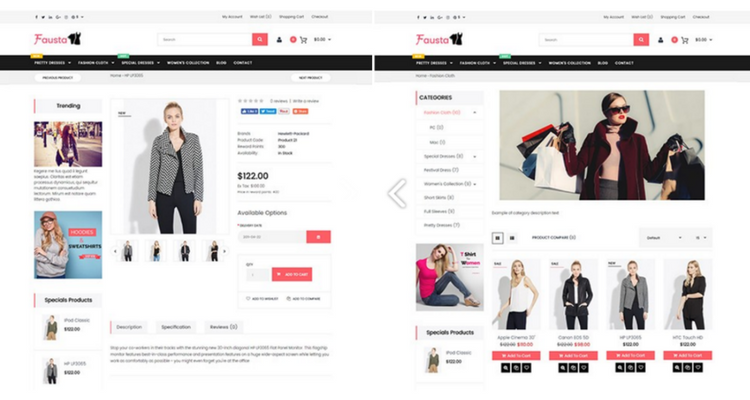 Exploit the responsive by default solution and use your online store on the screen of any size. Also, the customers get a possibility to shop on the go from any device they want. Use the OpenCart themes and templates that are powered by the by the third-party apps like Envato, ThemeForest, TemplateMonster, Colorlib, and others. You can download free or paid ones from the Extension Store. The platform assures the mobility and responsiveness of the themes, as well as enables you with the customization options. In addition, you are able to edit the code of the themes to fit your needs since the solution is the open source. Increase your company results and get your website on the upper rankings in Search Engines. OpenCart SEO allows you to assign the keywords and meta descriptions to all products, category pages, titles, header texts, etc. When it comes to marketing, the platform’s dashboard offers you to add and track the marketing campaigns or skip the worries of buying the expensive plugins. Select any of the 36 choices to pay like Authorize.Net, First Data, Klarna, PayPal, etc. Some come integrated with OpenCart,the others can be downloaded from the solution’s marketplace. Concerning the shipping approaches, the platform integrates with the applications such as Australia Post, FedEx, UPS, and much more. Like the payment gateways, you can find the required add-on to accommodate your requirements in the OpenCart marketplace. Concerning the costs, you can save your business money as OpenCart is a free eCommerce platform. Thus, there's no need to hesitate between OpenCart pricing plans as there aren't any. However, keep in mind that it only means the source is open and free to download to use, but you cannot run the e-shop without any spendings. At some point, you will spend a buck on the hosting, domain name, extensions, etc. depending on your organization's needs. As you can see, the above-mentioned OpenCart review shows that platform is a great choice to enhance the business growth and satisfy your customers. Being open source, easy-to-use, completely free to download with 13,000+ extensions offered, the platform can easily help your company explore the new opportunities and sell more. Want to reach the heights and achieve the desired business success? Migrate your eCommerce entities to the more advanced online store like OpenCart with Cart2Cart. Don’t wait up, register Cart2Cart account right now!